Manchester United faced Fenerbahce tonight as they played their fourth match in the UEFA Europa League. 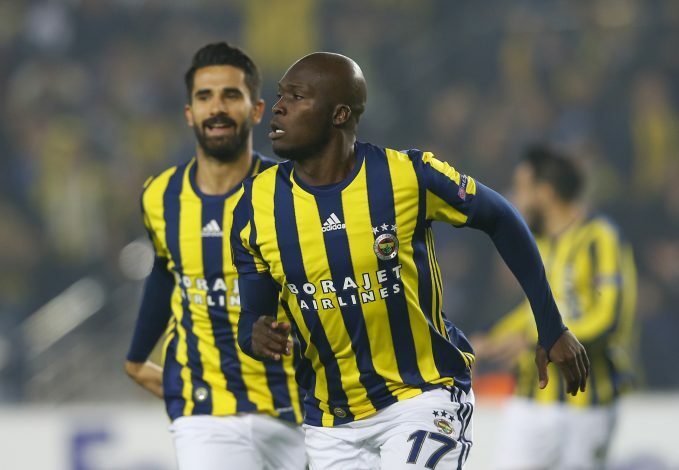 Fenerbahce found the net early against Manchester United tonight, after Moussa Sow managed to score a sensational overhead kick past David De Gea in the 2nd minute. And a 59th-minute free-kick goal from Jeremain Lens bagged Fenerbahce their second of the night, sealing the victory for the Turkish side. Wayne Rooney scored a spectacular goal from 30 yards out in the 89th minute to bring Manchester United their first and only goal of the match. Jose Mourinho and his players were hoping to replicate their previous result against Fenerbahce – a 4-1 win in which Paul Pogba managed to score twice. The Red Devils started with an attack-oriented starting eleven. David De Gea started in goal as usual, while Marcos Rojo and Daley Blind were Manchester United’s centre-back pairing. Luke Shaw and Matteo Darmian were deployed as full-backs, although many fans would have preferred to see Antonio Valencia start ahead of Darmian. In midfield, Mourinho opted for a pairing of Morgan Schneiderlin and Ander Herrera in front of his defensive line, while Paul Pogba was played in the No 10 position. Anthony Martial and Marcus Rashford started on the wings, with Wayne Rooney grabbing a rare start as Manchester United’s lone striker. Manchester United generally failed to show up tonight, although they did have their promising moments. Their sloppy defending during the early minutes of the game led to Moussa Sow’s spectacular opener, while Sunderland loanee Jeremain Lens doubled the host’s lead, also amid some clumsy defending from the Red Devils. Manchester United fans will also be sad after seeing their record man Paul Pogba being substituted off during the first half after picking up a knock during the early stages of the match. Zlatan’s presence on the pitch meant that Wayne Rooney dropped back into a No 10 role, allowing the Giant Swede to play as a lone striker. Juan Mata and Henrikh Mkhitaryan both managed to feature in the match, coming on as second-half substitutes, although they failed to maintain their roles as wingers, and as a result, didn’t pose much of a threat on goal for Manchester United. Wayne Rooney’s late goal brought promise to the players, however, there wasn’t much time to produce a comeback. Manchester United now sit third in Group A, with only 2 matches left before the final group tables can be presented. Mourinho certainly has his work cut out for him if he is to get his side into the knockout stages. Fenerbahce were 1-0 up within 2 minutes after Moussa Sow’s incredible overhead kick, which surprised us as much as it surprised the Red Devils’ defenders. And sadly, this isn’t the first time Manchester United have been caught off guard during the early stages of a match. Just 10 days ago, United conceded against Chelsea just under a minute after kick-off, although their defence were largely at fault for that goal. All this boils down to two conclusions. It’s either Manchester United just can’t handle the pressure of playing against big clubs anymore, or Manchester United’s defence needs a serious overhaul. With Eric Bailly out of action, Manchester United have been extremely sloppy at the back, and are clearly in need of a replacement for the Ivorian. Jose Mourinho will need to take a look at his options this winter, with Jose Fonte and Leonardo Bonucci both on his radar. Paul Pogba received a knock during the early stages of the match, and as a result, was substituted off for Zlatan during the 30th minute. The French international, who arrived at Old Trafford this summer for a record £89 million, started the match as a No 10, although he has been previously played as a defensive midfielder. Pogba’s best position seems to be as a defensive midfielder, but he needs to be paired with a more controlling player like Michael Carrick, or even Ander Herrera. Pogba’s injury comes at a bad time for Manchester United, as they are already struggling in midfield. And Jose’s squad are also not helped by the form of Marouane Fellaini and Morgan Schneiderlin – two players who have failed to make a significant impact on the team this season. With Manchester United’s struggles, Jose Mourinho could be tempted to call on Bastian Schweinsteiger to make an appearance for the first-team squad. The German was just recently introduced to the first-team training sessions after previously being banished to train with the reserve squad. Zlatan Ibrahimović has failed to score a goal in his previous six matches for Manchester United. He made headlines with his move to United this summer, and continued dominating the newspapers after scoring 5 goals in his opening 5 competitive games for the Red Devils. Many fans expected the Giant Swede to pull the club through this season, despite already being 35 years old. However, it seems like Zlatan’s goalless streak is greatly affecting the team, especially after the striker missing big chances against Liverpool, Chelsea, and Manchester City. Zlatan also failed to help Manchester United win against Burnley last weekend, despite the Red Devils firing a total of 37 shots. But it was expected by many pundits that Zlatan would stop scoring goals so frequently due to the difficulty of the Premier League, which is much more competitive than the previous league he was playing in – the French Ligue 1. Prior to tonight’s match, Mkhitaryan hadn’t featured under Jose Mourinho for almost 2 months after initially suffering from an abdominal injury. Mkhitaryan’s absence in the squad led many to believe that Mourinho has already axed the player, however, the manager explained that he did so in order to help the player adapt to his new league. The 2015/16 Bundesliga Player of the Year joined Manchester United this summer with the hope of helping the side regain its position as the top club in England, but has so far failed to make an impact of any significance in the squad. But, as soon as Mkhitaryan is fully adapted, he will be a huge asset for the squad. His creativity and technical skills bring a new depth to United’s midfield, which could be key to success this season.